There were few riders that had registered for the event, more excited than that of Eli Tomac. The number three, now surging toward the championship lead and accumulating race wins, was coming to that of his hometown race. With these particular riders never racing in the city before, Tomac felt compelled to display his best efforts, aspiring to take victory in front of his native state. With an autograph line a mile long, you couldn’t catch Eli without a smile on his face, throughout the day. As positive and upbeat as they come, Tomac would bring an aura like no other to the realm of practice, waving to the crowd as he accumulated a plethora of solid laps. Circuit after circuit, his name would stay glued to the top of the Monster Energy leaderboard; leaving few guessing to just how much speed the number three possessed. His antics would carry on, leading him to his first gate drop of the evening; that of the heat race. Grooved in behind the respective gate that he felt, could lead him to the front, his eyes would then gaze at the pin below as the metal bracket would crash to mother earth. A speedy combination of shifting and clutch stabbing would ensue, leaving near the front of the field and battling with the likes of Cooper Webb and Joey Savatgy. Three wide at times, no one in the group was giving an inch, despite truly running the boundaries of this track. Disregarding tuff-blocks and streamers of all kinds, Tomac was persistent in his efforts to get into second. Once solidifying the spot over the likes of one teammate and one foe, he would have aspirations of catching the leader Cole Seely; running out of time, he would aim for the main event platform to display his best work. He was in a trance for the lead as soon as he rounded the circuit on lap one, moving from fifth to second in a some-odd fashion of three laps. All over the back of Marvin Musquin, who was now leading, he would simply out charge the Frenchman through a particular side of the whoop section; slamming the door in the following corner, just before the finish line. The race then after, would be executed flawlessly; where he would lead the remaining laps, hoisting the checkered flag at the end. There was no greater feeling than this to Eli Tomac, and you could truly tell he clicked into another gear, as the series creeps into its final stages. When viewing the points standing from the outside looking in, you’re quick to notice that Cooper Webb has a few options, in regards to how he portrays his efforts for this championship. He can either contend for the lead, a “do or die” attitude at every round, or be methodical in his quest to the title; choosing, at times, to forego the lead, and understand that he must retain as many points as possible in regards to his relative competition. And noticing just how fast Eli Tomac was in practice, coupled with the boost of the Kawasaki’s hometown crowd, Webb knew that he would have his hands full with the number three. Therefore he would monitor the antics of his competitor throughout qualification; reiterating to his team, to keep an eye on the next man in line. Webb had lines choreographed within his head prior to the commencement of qualification, yet would change them seeing just how fast Eli Tomac was configuring this circuit. Feeling rather strongly about his potential for the night, he would carry momentum into the heat race; hoping to make a statement to every competitor on the line. Third off the line, it was none other than Eli Tomac knocking at his door while the first few laps were underway. Nestled between two Kawaski riders, Webb knew he would have to be careful in order to sustain his position; yet keep the locomotive moving forward. And although doing his best to work around that of Savatgy, he would be overtaken by Tomac; with periods of the trio going three wide around this course. Moving around Savatgy shortly thereafter, Webb would be cemented in third; just short of both Cole Seely and Eli Tomac. The main event, would place him well within contention of the win; sitting in sixth for lap number one. Wading forward through the dangerous skies of Denver, he would make his way into the top four by lap six. However Tomac, would move at a bit faster pace, taking over the reign of the field in the earlier laps. For Webb though, it was a matter of moving around Savatgy and Musquin; something he would work diligently on. Getting past the green machine, it was only he and the Frenchman; and he too would claim the second place spot passed Musquin, Residing here once all would conclude, Webb knew that he had accomplished what he sat out for; obtaining a significant amount of points, and lessening the blow of Tomac’s win. Coming into the 2019 season, Justin Bogle was simply on the outside looking in; not knowing what he was going to do, or how he was supposed to compete in the Monster Energy AMA Supercross series. Left without a factory ride for the first time in a while, Bogle was nearly forced to come into the series under his own effort; with family members involved with his team configurations, under a bike from a respective dealership. However, with the unfortunate injury to that of Benny Bloss, Bogle stepped in; taking the opportunity at hand, and seemingly running with it. It would lead him through many woes in the Supercross series, where he could be found in the back of the pack throughout his first initial races. But, rather than getting down on himself, possessing a heap of discouragement; he would rebound, and slowly begin to work his way to better results as the series went on. And you could tell that he immediately gelled with the track in practice, due to his charismatic nature and riding style, polished with a bit of style never before seen to many in the crowd. It would carry over into the heat race, where an early lead would provide a track for Bogle he hadn’t seen in quite sometime; reminding himself of his early days a professional. Each lap, would be another circuit logged; and he understood that there was no better place to get comfortable, than in the current moment. Going on to lead every lap of the heat race, he would take a victory aboard the KTM 450; something he was absolutely ecstatic with. The main event’s green flag would find him in third, with only Eli Tomac working his way around. It was then though, that a flip would be switched, and his dignity to stay in the fourth place ride would be something we hadn’t seen from Bogle in quite sometime. Keeping his number nineteen cemented in the spot, he would do all he could to keep that of Joey Savatgy out. It would work, as the white flag would come about, and both the seventeen and number four of Blake Baggett, were still stuck behind the Oklahoma native. Coming across the checkered flag, you could feel the sense of relief with Bogle; as he knew he’d finally ridden to his ability, for the duration of the 2019 Monster Energy Supercross season. Eyeing the top five of the 450 class for sometime now, Joey Savatgy truly believed in the practice of visualization. Whether it was behind the gate, or deep within the confines of his home, he would routinely think of himself accomplishing goals in which he had set. The law of attraction would lead him to Mile High Stadium, home of the Denver Bronco’s. He’d learned in the past, to embrace the change around him, and adapt to any scenario in which he was placed. Sitting upon the line for practice, it was nothing but a positive forecast in the coming moments; an attitude of sunny skies, and persevering through any adversity that was thrown his way. Although there were a plethora of yellow flags, he would weave in an out and of traffic; jumping over track workers when he had to. He was in dyer need of obtaining a solid laptime; and boy did he provide an abundance of them. Once crossing the line for the final time, he would give the mechanic the thumbs up; rolling to the pit area shortly thereafter. The gate would then fall for the heat race, where the field would quickly work there way into a single file manner. With few places to differentiate themselves, there wasn’t much of a way to gain time. But somehow, someway, he would do so; charging into each and every corner by an extra millisecond or so. Diving in to the respective barriers, he would snag on the rear and front brake; doing all in his power to force the chassis to slow down. Holding off Cooper Webb and Eli Tomac for quite some time, he had to be careful in his antics, otherwise the door could slip open, and the opponent would barge his way through. Finishing fourth, he would be stoked for the commencement of the main event. The field would begin, two and three wide around this narrow raceway, with the track only continuing to slicken. He had to manage his aggression with the throttle, otherwise both tires would be washing out on this Colorado surface. Quickly jousting with Ken Roczen, he had to understand that he couldn’t be deterred; he had to focus forward, otherwise precious time would be wasted. The chassis was beginning to swap throughout the top of the whoops; yet he wouldn’t bat an eye in regards to showing fear. Residing fifth in the final moments, the culmination of hard work and persistence, would come to a head at the final flag. Fifth place was where he would conclude the moto. Although catastrophic conditions were present midweek prior to the commencement of the 2019 Supercross program here in Denver, the actuality of the racing atmosphere was rather pleasant; in regards to pure track conditions. It would be to the dismay of some, but Blake Baggett had ridden this type of soil many times, during his numerous ventures on West Coast soil. This base, looked rather moist when on top, but boy was it ultra-shiny and slick, once that first coat of top soil was removed. Tire selection, throttle control, and a pure sense of balance would have to be in tact, for one to succeed on a course like this. And he truly felt that he was capable of completing the task at hand. The riders, throughout the mass of competition, seemed to figure out this course rather easily; quite the contrary from that of last week. A few rhythm sections had slight variances in rhythm accordance, but for the most part, the upper echelon of riders were completing the obstacles in the same synchronization. Which led him to keying in on his cornering technique, and ability to decipher the mistakes of others around. With the sun coming out to brighten up the racing surface for his heat, he would sit positively in the second place spot. The majority of riders were rolling around these crusted, finely sculpted bowl turns; yet lines were beginning to develop, especially before the finish line double. He would hug the inside rut to the best of his ability, lap after lap, in order to hold off the spot from Zach Osborne; in which he would lose. And although just a few races in, you could see the ground beginning to break away; forcing his grip to become ever so tight on the bars upon him. He would withstand the impact beneath, carrying his momentum forward to the third place position. Clinging onto the confidence he generated hours before, he would do his best to create a solid jump and shifting transition, down the start straight. Ducking into the left-hander immediately after, the field would be bottled up; and he would simply close his eyes, bracing for the impact and ricocheting of the riders around. Keeping the pace throughout the course of the moto, you could see many competitors in the field begin to squirm a bit, stagnate as they fought the idea of fatigue closing in the doors around them. He would prevail, never giving up throughout the race’s entirety; sixth place was his. ​With rarities of all kinds being seen in Supercross throughout the last few years, there may have been no further outlier, than what was presented for the round of Denver. Torrential rains tore apart Southern California earlier in the series, and pure frigid temperatures stood the likes of Minneapolis square in their tracks. Yet Mile High Stadium, offered the fans and riders alike, something of lucrative chance; that of actual snow fall, throughout the race day! No surprise to any of the local attendee’s, the month of April provided a plethora of snow accumulation in the days leading up to the event. But many in the field just simply couldn’t believe it; the thought of leaving the sunny skies of Nashville, for a climate such as this! Ken Roczen came to the line for practice, revving his motor and sticking his fingers just behind the port of the exhaust. It was all he could do to get the joints of his fingers fluid and able to control these frigid metallic levers that sat upon him. However, it wouldn’t stop his pace from being apparent in the early-going; where a series of solid laps, would string together a phenomenal run on the leaderboard. He would be escorted by his mechanic off the raceway, eager for the night show to begin. The field would blast off the line, every rider displaying all of their ability to capture a highly coveted transfer spot. He knew that he would have to be diligent with his efforts, in order to obtain the task at hand. He would land off the second “SX” triple, the right foot out and ready to attack the following bowl. Hitting the whoop section to the best of his ability, he had to be careful to keep the chassis straight, all the while feeling pressure from Marvin Musquin; he would hold on, taking fourth. Stacked to the brim with tearoff’s for the main event, multiple pulls would be hoisted in order to obtain clear vision through the opening laps. Wishing he had a giant set of windshield wipers, he was doing everything known to man, in order to duck the roost from the field above. He would continue to attack the track, regardless of the circumstance he was placed in, hovering around seventh near halfway. Knowing what was at stake if he gave up, he would continue to do his best; running both tank, and all of his glycogen stores empty in the process. Finishing seventh, he knew he had left it all on the table, once the final flag had flown. ​The change in atmosphere from one week to the next, is absolutely total contrast in the series. And no episode was more apparent than that from Nashville to Denver. With the southern metropolis providing a climate that was picturesque; sunny and seventy-five degrees. And now the present, Denver, Mile High Stadium, shivering in the forty degree Fahrenheit range; overcoming a surplus of seven inches of snow, earlier this week! Choosing to never be deterred,Zach Osborne decided early on, that he was going to place one hundred percent effort forward; regardless of what circumstances were placed ahead of him. Throughout practice, he was trying to sludge through this soggy track; knowing that a plethora of ruts would be developed by the end of the night. Methodical in his choices, he understood that any specific lapse of focus, could result in a serious slam to the concrete-ridden floor below. Putting together quite the string of noteworthy laps, he would head out of practice ready to clean up both bike and gear, preparing his assault on the main event. Plowing forward in the heat race, the visor was being ducked nearly immediately as he barreled down the start straight. Although not being able to see his immediate radius in front of him, he had to do whatever was necessary to spare his vision. Snow flurries had been accruing all day, and his hands were beginning to freeze aboard both the front brake lever, and clutch lever. Keeping the throttle pinned to the best of his ability, he knew he would have to pursue the checkered flag and nothing else; otherwise, he could get caught in quite the quarrel with Blake Baggett. The final go-around would list him in the second spot, where he would reside. Taking one last breath before cranking the engine, he would rev the throttle as the header glistened in the night sky. He would round the first lap in seventh understanding that he had to do whatever necessary to complete the task at hand. Careful with the throttle, he had to tread softly throughout a few of these hard-packed turns, knowing that the one with an ample amount of right-hand fluidity, would reap the benefits when the clock struck zero. With nearly just a few tearoff’s left, he could see the white flag waving; and it wasn’t a mirage. One more time around, and eighth place would be his. Taking the spot, it would be a successful effort, in traumatic conditions. Having to deal with the trek literally across the country, many in the 450 field were dealing with a bit of jet-lag. Changing time zones, ranges of altitude, and differences in climate, could result in many people bowing out of competition. However, Josh Grant was willing to adapt to whatever circumstance was placed upon him; like a chameleon blending into to the environment around him. Scanning the practice track for optimal lines, he would wait for a few of the series leaders to come near him; and then follow them relentlessly. Jotting down notes as quickly as his brain could inscribe, would reap dividends; as he toggled up the leaderboard in a steady climbing manner. Hanging an immediate left after the finish line, he would circle the tuff-blocks ever so closely; making sure to not waste any precious time wandering in the midst of the corner. Hitting the proceeding rhythm section, he would do his best to obtain multiple triple combinations, before ducking into the following right-hander. He was feeling ultra-smooth behind this particular set of handlebars, able to whip the chassis like the most elastic of ropes one could find. Nimble and agile as ever, he would walk his way into the night show, with a superb time upon practices’ conclusion. He would line up for the heat race, with a stern look underneath the shell of his helmet. The goggles would be sealed completely to his orbital bone, with his eyes just behind those lenses. It allowed him to catch even the slightest of nudges from the competition, as the field was escorted around the track by none other than Cole Seely. He would do his best to wage war with the leader, using the combatant is a benchmark of sorts. All in all, he would be successful in his efforts, placing fifth. The main event would be a testament to his will power, as he had rivals all around. He could easily have chopped the throttle, and coasted within the first few laps; letting the alpha’s of the class scurry away. But it all actuality, it was episode that couldn’t have been more contrary. He dug every ounce of being into the racetrack, hitting the whoops at absolutely ridiculous speeds; hoping to pull away from Justin Hill. He could hear the faint echo of the 450 while floating through the air over the second, “SX” triple; and would accompany that ripple of decibel with a faint prayer, of a white flag. The corners would dwindle away, and a countdown to the finale would be proceeded by the checkered flag. Ninth place was his. ​Coming into the round of Denver, Adam Cianciarulo understood what was at stake. He had to solidify his placing for the championship, deterring both the accruing of points from his competitor’s, along with their respective willpower. He believed that he had to be solemn, showing that he wouldn’t budge to the thought of adversity; and nothing could waver the certain feather in his cap. Sporting the red plate while walking the bike to the line for practice, he knew that he must set the tone early; a tone of absolutely one hundred percent business. Blitzing this slick Denver course with absolutely reckless abandon, he would quickly find himself amongst the top of the leaderboard, contending for the pole position. Eyeing the competitors that looked rather speedy themselves, he understood that riders like Michael Mosiman and Dylan Ferrandis would be of heavy contention, as the night would continue on. Forcing his pace quickly as the gate would fall for the heat race, a quick stabbing of the clutch would propel him to the realm of the lead immediately. With the group clustering up around him, he understood that he had to get out and away from all combatants in this surrounding; otherwise the heat race victory would be obsolete. Pushing forward, he could see his mechanic waving the towel in a clockwise manner, doing all he could to boost the efforts of the number ninety-two. Mirroring back with an image of head nodding, he would remain focused on the task at hand. Keeping RJ Hampshire behind in second, Cianciarulo would then take another win for the record books, placing first in the heat race. The main event would be an episode of pure battle, as he quickly found himself chasing down the likes of Michael Mosiman. All over the rear tread of the Husqvarna rider, he was doing everything in his power to make the move stick. Jockeying between inside and outside lines, his true mechanics of intricate passing seemed to come to life. Finally, shutting the door and bee lining down the accompanying straightaway, Cianciarulo’s speed throughout the whoop section would solidify the lead over the number thirty-six. Never looking back, he would then be on cruise control to the checkered flag; looking to secure a victory when it was most needed. Landing off the finish line, he realized who was behind him; knowing exactly what now would have to be done, for the round of Las Vegas. Although not quite in contention to capture the title for the 250 West Coast Series, Colt Nichols feels as though he can still leave a lasting mark on the series, for the conclusion of 2019. Building off of the momentum he generated earlier this season, Nichols really has continued to blossom, despite a few mishaps here and there. His style remains polished, and his speed is as apparent as ever; leaving everyone who has the pleasure of viewing him, knowing as to just what skill he truly possesses. Coming into the round of Denver, he hoped to rekindle the flame that was sparked in the initial races; and it would start with a spectacular practice session. Whipping the bike every which way over every respectable gap on the track, he would continue to flick the chassis despite lower than everyone else. It would translate into the corners on the track as well, where he would stand up into the apex of the turns, much longer than anyone else; yet at the last second, volley to the midpoint of the seat, and grasp the riveting motorcycle with all of his strength. He would anticipate a strong sense of battling on the track for the heat race, and he would welcome the slashing of swords with open arms. Getting out to an early lead, you could tell that he felt at peace when in front of the field; with nothing but an open track to unleash his raw power and aggression on. Lap after lap, he would continue to pull from that of riders in the field, such as Jimmy Decotis. The only roost he would accrue, was that from lap traffic; which he would encounter rather quickly. Hitting the final few jumps on the last lap, a bit of leg swag would be thrown to the crowd; portraying that he was relishing in the spotlight. Translating into the main, a sixth place start wouldn’t be ideal; yet he would put his head down, grinding immediately to the front of the pack. In an all out blitz of this slick surface below, he would oppose the wheel spin with a sleek carving of the bowl turns; making his way past the likes of Cameron McAdoo and Jimmy Decotis in the process. For the final few laps though, he would have his eye on none other than Husqvarna’s Michael Mosiman; whom he would overtake, transplanting him in the third place ride. Residing here at the checkered flag, he felt accomplished by landing on the podium, yet wanted more, as the series would wind down. ​A self-proclaimed outdoor specialist, the guys at Geico Honda have stuck by their prospect of RJ Hampshire, for quite a few years now. After winning multiple titles in his last year at Loretta Lynn’s, everyone in the professional industry has equated Hampshire to synonymous speed and holeshot strategy, something that puts the number thirty-one at the front of the field in every race he enters. For this particular weekend, he would leave the Sunshine State of Florida, for the frigidness of Denver, Colorado. It was quite the polar opposite spectrum, but Hampshire is as varied as they come, as far as experience in riding conditions; bringing his “A” game to the table, in every instance he portrays behind the gate. He was a standout throughout the practice sessions, his Geico bike absolutely pinging as it vaulted down these respective straightaways. Blitzing by the mechanics area, headsets and hats alike, were nearly tossed off by the direct pattern of wind his bike was providing. It would translate into the heat race, where he would be an absolute staple at the front of the field, with the likes of Adam Cianciarulo and Dylan Ferrandis behind him. He would be out front early, but couldn’t help but feel the pressure from the Kawasaki of AC behind him. Holding him off not one, but two laps, before the ninety-two would take over. Pushing RJ into second, he would endure the pace that the leader was setting, all the while keeping Ferrandis at bay. In a sandwich as tight as they come, Hampshire wouldn’t protrude, and manage to stay well within the confines of the battle royale. Second at the stripe, he was salivating at the thought of the main event shortly to come. Eighth off the line, had him in a giant game of follow the leader to begin; with the entire field freight training against one another, on this rather narrow course. Keeping his Honda absolutely pinned around this shiny, glossy floor, he had to tread softly; all the while pushing the pace. Making his way around Decotis, and then teammate Cameron McAdoo, he would smell blood in the water; that of a fatiguing Michael Mosiman. The Husqvarna rider had put out a blistering pace at first, but had depleted the majority of his energy; resulting in a loss of pace. Hampshire, being the predator that he is, would strike; overtaking Mosiman, and pushing himself into fourth place, where he would stay. Pleased with his efforts, he wanted to land on top of the podium once the series would wrap up in Las Vegas. Taking a rather unorthodox route to the professional ranks, Cameron McAdoo was a bit of a “late bloomer” in regard to his amateur career. Although running many of the amateur nationals throughout his minicycle career, McAdoo chose to forego years of consecutive B class and Schoolboy riding; jumping head first into the A class ranks at a very young age. Although it was a jump that many don’t often conquer, McAdoo displayed poise and resiliency that isn’t often displayed; understanding that if he could fight through matters like this in the initial stages, that he could withstand the test of competitors throughout the tale of time. He would bring all of his ability to the confines of Mile High Stadium, hoping to engrave his name on the walls of Denver Bronco greats. He was inspired by the magnitude of the facility, knowing that this was something he dreamed of as a young child, adoring professional across television screens. Hopping aboard the motorcycle for practice, he would feel sound aboard the suspension settings; pleased with both the shock and spring requirements, prior to launching out of the gate. Taking off in a rather unordinary first gear, due to altitude, he would do his best to keep the front end light out of the gate; as he barreled into the first corner. Keeping his head held high, the fourth place on lap one would be significant starting point; something for him to build off of. And it was as though each lap, he would continue to climb, making his way around Sean Cantrell and just to the back of Jimmy Decotis. Doing all he could to climb around the JGR rider, he felt reassured that he could continue his ways of performance, finishing third in this respective race. Another fourth off the line had him just behind the lead group, and eager to make his presence known to the championship contenders. He would reside near here for quite sometime, only to be dealing with the likes of Colt Nichols. With Nichols now moving around, it was RJ Hampshire who was revving the bike within the proximity of his helmet; and McAdoo was as stingy as can be with the position. The motor would begin to blister, along with the rotors of his machine; yet McAdoo would continue to soar, leaving it all on the table. Now pushed back to sixth, he knew that he could reside here once the final flag would wave. Signed on the premise of raw speed, fan engagement, and superb starting technique, Decotis is now finishing out a contract in which he’s signed with the JGR team for Supercross. He knows, that with his age, and the state of the sport for this particular year, that rides can be hard to come by. Therefore he’s holding on to the pen and grip as hard possible, hoping to ink contracts for years to come with his true ability aboard the motorcycle. And although hailing from the sands of the Eastern Seaboard, he came into Denver prepared; feeling as though he was able to mold his riding style to any surface the wheels were placed upon. Immediately feeling the flow in practice, you could tell that the cold air mass and wind chills weren’t facing him; and were something that he could endure, that maybe his other competitors couldn’t stand. Third off the line for the heat race, he immediately knew that Colt Nichols would be a contender; but didn’t necessarily pencil Sean Cantrell in for an early running for the lead either. Making his way around the KTM rather quickly, he would begin to pursue Nichols to the best of his abilities; hoping to do his best, and jockey for the lead. But it was as though Nichols was in a zone of his own; leaving the rest of the competition on standby. Taking second for this particular race, he was excited to get the main event festivities under way. Third off the line, his pace immediately was one of the fastest on the track; manualing over the on-off section just before the second “SX” triple. Attempting to be as smooth and precise as can be, Decotis would take control of the chassis; hoping to guide the steed to new heights, once the final flag would fly. But he would then begin to get overtaken by the likes of McAdoo and RJ Hampshire; yet still, fight for every rightful position on this Denver course. The white flag would come about, something he would be thankful for, yet it was twofold; as he aspired for more laps, if his fatigue would allow. Jumping across the line on the final go-around, his name would be penciled into seventh place overall. 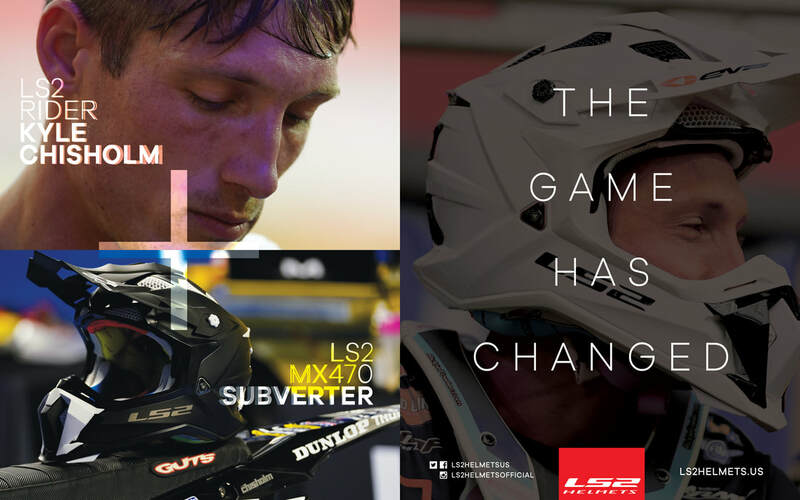 Already inscribing notes into brain, he and team made a pact to work on the Supercross side of things from here on out to Vegas; hoping to show Jimmy’s true worth under the lights of Sin City. After a somewhat storied amateur career, Justin Starling came into the professional ranks with a bit of momentum years ago. Racking up numerous titles aboard the 50, 65, and 85cc machines, he would encounter a bit of struggle once moving up to the big bike’s; although displaying a spectacular performance during his last year or two at the ranch, capturing numerous strong finishes in the A class. Since then, he has continued to fight tooth and nail among the professional tour, keeping his dreams alive in search of a factory contract. And for this season, has decided to run both 250 and 450 rounds, doing all he can to generate income in regards to sponsorship obligations. Feeling full of energy and ready to go as he rolled into the confines of the city of Denver, he had to become a bit acclimated to the harsh cold weather; as it was total opposite of his residence in native Florida. However, his riding on the track would continue to heat up as practice went on, finishing in a solid manner, and keeping everyone within his pit area happy of his overall performance. He would carry focus and confidence into the heat race, where he would be hovering around the top five for quite some time. And with the leaders surging out to an illustrious pace in the front of the field, many would find it easy to get complacent; but not Starling, who chose to stand and fight, battling with all of his efforts to secure the fifth place spot. Finishing behind Michael Mosiman, he knew that if he could get a solid start to the main event, he could walk away with a noteworthy finish. Ninth on lap number one, he would continue to fight forward, earning his keep aboard the realm of this particular division. Keeping the throttle twisted to the best of his ability, he could be found nestled between Jimmy Decotis and Dylan Merriam for quite sometime. Yet he wouldn’t budge or bow in fear, knowing that the longer he stayed upright and intact, the more likely he was to succeed. Keeping everyone within the parameters honest, he would come across the line one last time, in eighth overall. It was something to build off of, and a result to move forward from, as the series comes to a close, here in just a few short weeks time. Looking at the track map of this particular Supercross round, many in the class were wondering just as to where they would make up time. The schematics and blueprint of this course looked rather simple, and once seeing what the architects had actually handcrafted, there thoughts would be reassured. But Dylan Merriam felt he possessed the ability to differentiate; understanding what it would take to make himself an outlier from the majority of the field. And he couldn’t wait to see what would be induced throughout the sectors of practice. Hitting the rhythm sections with ease, he would pinpoint a few turns, focusing on his charging points; and just how much brake he should apply. Focusing on keeping the chassis moving, he didn’t ever want to come to a standstill; otherwise the pack from around would engulf him. He would remain tedious in his efforts, splitting the knobbies of his rear tire considerably, with the amount of force his motor was generating. It would send him into the heat race, where he was absolutely ecstatic on the opportunity to showcase his skills in front of thousands. The sun was beginning to rare its head through the clouds, providing a rather positive start in regards to the conditions that preceded the race. Providing a feverish pace in the beginning, there wasn’t anyway he could let the leaders of the field pull away; and he had to keep those around him in check. Beginning to ride a rather defensive effort, he was doing his best to keep many in the field out of their respective “end zone.” Holding off the likes of Chris Howell, the classification of his efforts could be listed in the “transfer” category, solidifying a spot in the highly touted main event. With no question as to how much effort he put in, he would walk away with seventh. The main event would be an indication of his persistence, as he was in constant battle with the top riders around him. Staking his claim early on, he knew he couldn’t budge, and would have to ride ultra aggressively in order to sustain this pace. Keeping a one track mind, nothing could hamper the amount of focus that was radiating his shell, especially as he was cutting through the respective field. Hovering around the ninth position, he could see that the clock would strike zero; indicating it was an all out sprint to the finish. Holding onto this single digit placement, he was pleased with how it would all turn out. ​With a bit of a gap in the series taking place last week, many in the class decided to forego there final few days of Supercross practice, honing in on the outdoor side of things instead. Leaving the whoops and hard-packed soil compositions to be an afterthought, there were certain riders who had turned their full attention to the realm of outdoors. But, a select few, including Enzo Lopes, wanted one last week of intense drilling; a week to truly hone in on their skills, and manicure the fine print of technique, in regards to conquering a Supercross track. It would reap dividends, as he made his way to the track here in Denver; as he was an immediate threat in regards to his scaling of the course, in practice. Hitting the rhythm lanes to the best of his ability, he was attempting to land as many lucrative triple combinations as possible, in order to keep ascending up the leaderboard. Styling the chassis to the left over both respective “SX” triples, he would show that his confidence was translating across the board. Carrying the same piece of momentum into the heat race, he would line up behind the gate, heating up the rear wheel behind his respective metal bracket. A chopping of the throttle coupled with a stabbing of the clutch, would result in his bike itching for a chance to unleash down this start straightaway. Hovering near the front of the field to begin, he would keep his pace, despite being clustered within the midst of this pack. You could see him click up twice, prior to his embarking of the whoop section; hitting these moguls in fourth gear! Never being deterred by certain lips or ridges, he would keep the 250f scorching around this glistening surface. Letting the rear wheel spin out of these respective bowl turns, he would sit outside of the top nine, and forced to the LCQ; where he would transfer. Carrying on into the main event, he would assert himself as a legitimate top ten contender, in the early going. He could see the abundance of flags shifting colors as the laps would continue to grow; and he could only hope for the halfway sign to be thrown, as he felt pressure from Martin Castelo. Never turning the shoulder, or even glancing to see who it was, he would focus on keeping a forward track for his vision, focusing on only the checkered flag. Taking tenth, he was satisfied with how his efforts would translate.